LawBreakers challenges players with a new level of skill-based competition that gets you off the ground into a dynamic, 360 degree combat experience. It’s a vertical battle royale where skill determines who survives. You’ll need to choose a role that matches your play-style and learn a variety of deep movement skills, combat abilities and weapon combos to step up and dominate the competition. Compete in a new futuristic world from the mind of Cliff Bleszinski where the mysteries of a shattered moon unlock global gravity manipulation, pushing technology and combat to unseen heights. The rules of engagement have completely changed, as players team up and jump into the fierce, fast-paced conflict between the Law and the Breakers. Choose between a variety of distinct combat roles to suit all FPS playstyles. 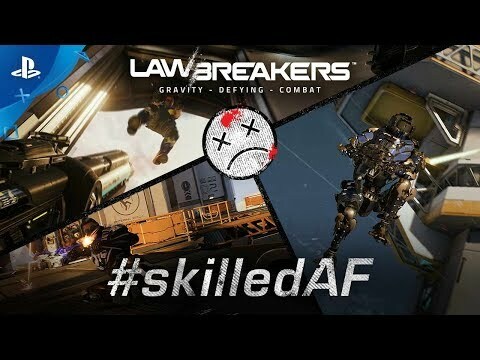 From Battle Medics that can heal or kill with efficiency to high-flying Vanguards that soar above the fight, LawBreakers offers a unique combat experience with groundbreaking movement systems that will challenge you to get off the ground and compete in new ways. 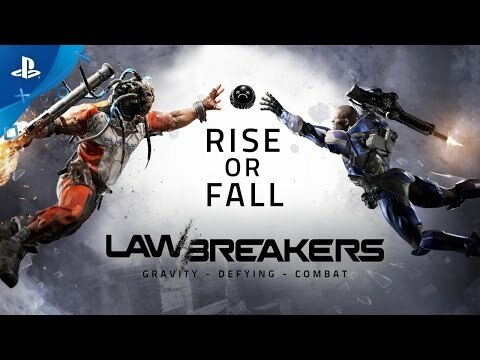 Whether you uphold the “Law” or are out for blood as a “Breaker”, LawBreakers' cast of characters provides you with a wide array of fast-paced combat abilities such as grappling blades, healing drones, time dilation, omni-directional jetpacks, teleportation and much, much more. Battle across thrilling futuristic maps set in a broken and rebuilt world featuring iconic locations ranging from the boiling oceans of Santa Monica to a gravity-ravaged Grand Canyon and even space elevators in Seoul. Experience several “only in LawBreakers” buzzer-beating Game Modes that challenge players to rise up and rain brutal death on the competition as you attack and defend, score goals, lock objectives and more. The fight isn’t over until the last second ticks off the clock and the last bullet is fired. LawBreakers doesn’t level the battlefield, it rises above it with a no-nonsense starting price of just $29.99. That includes all future roles, maps, modes for FREE. Yep... No ‘Season Pass’ required to compete in the future of FPS combat, just absolute skill.